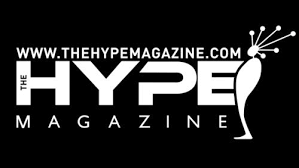 Our service will get your music, video, or mixtape featured on the homepage of The Hype Magazine website (Thehypemagazine.com). We promote your material from several accounts for 1 week. Thehypemagazine.com receives about 500 unique visitors, and 600 (1.70 per visitor) page views per day. Make sure you check out our additional services and upgrades in the "extra's" section. We offer an upgrade for a 30 day promotion as well as additional blog placements. KEEP IN MIND THE HYPE MAGAZINE IS A MAJOR MEDIA OUTLET. TheHypeMagazine.com has the right to deny your submission if it does not meet their guidelines. If for any reason your submission is denied we will recommend another option for you. (Submission denials are rare, but please provide high quality material). Music/Video Featured on TheHypeMagazine.com is ranked 5 out of 5. Based on 1 user reviews.